Are you the Respondent to Hague Convention Child Abduction Proceedings? If so, contact Mrs Pam Sanghera who specialises in international child abduction who can consider your case and give you advice for free, subject to capacity. 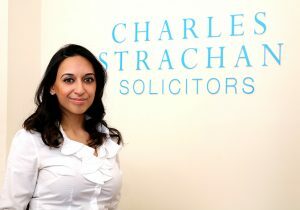 Pam Sanghera is an award winning lawyer who understands the difficulty with there being many Respondents to Hague Convention cases who are not eligible for legal aid due to being over the financial threshold set by the Legal Aid Agency. This is extremely challenging for parents who are then left to battle alone in High Court litigation. Pam is passionate about ensuring parents who find themselves in this situation have access to specialist legal advice as early as possible to avoid prejudice and to ensure the best possible defence is submitted. If you have received an Order from the High Court requiring attendance at a hearing or have been directed to prepare a defence, then please contact Pam Sanghera who will be able to advise you for free.